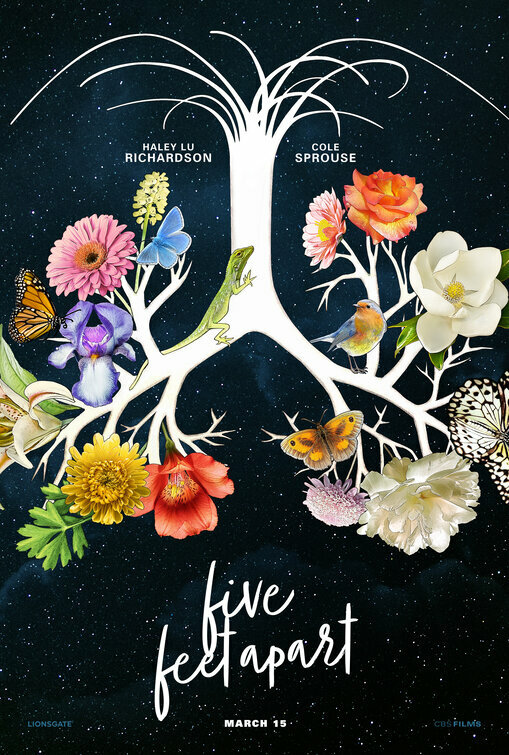 In the movie Five Feet Apart, Stella Grant (Haley Lu Richardson) is every bit a seventeen-year-old…she’s attached to her laptop and loves her best friends. But unlike most teenagers, she spends much of her time living in a hospital as a cystic fibrosis patient. Her life is full of routines, boundaries and self-control – all of which is put to the test when she meets an impossibly charming fellow CF patient named Will Newman (Cole Sprouse). There’s an instant flirtation, though restrictions dictate that they must maintain a safe distance between them. As their connection intensifies, so does the temptation to throw the rules out the window and embrace that attraction. Further complicating matters is Will’s potentially dangerous rebellion against his ongoing medical treatment. Stella gradually inspires Will to live life to the fullest, but can she ultimately save the person she loves when even a single touch is off limits?